This is a post I wrote in 2010 but feel it needs to be said again. When I first began homeschooling, my daughter was in fifth grade and my son was four years old and had just graduated from preschool. I remember the overbearing weight I felt to succeed that first year. After all, everyone was looking to me to see if this homeschooling stuff really worked. I was also very aware of the fact that many were just waiting to see me fail so they could say I told you so. In fact somewhere in the darkness I could even hear my own voice questioning my ability to see this through. Please don’t get me wrong I had others who were supportive of my decision and many who were simply undecided. And so I began my homeschool journey with a heavy burden that was not of God. Oh how I wish I could go back all those years ago and have a good talk with myself! 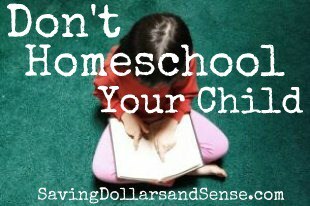 I would tell myself to NOT homeschool my child! I don’t mean I wouldn’t homeschool at all, because I most definitely would since we have been called by God to follow this path. **I should add in at this point in the post that I do not believe everyone is called to homeschool. As parents, we must all learn to follow the path that has been uniquely carved out for our individual family. But I wouldn’t force any kind schooling on a four year old! I am specifically talking about my four year old son here. What I mean is that I would remind myself that he was already learning from everything around him. Instead of focusing on traditional lessons I would give him lots of time to play outside and learn first hand about our Creator through experiencing creation. I would spend more time playing games with him that involve matching or sorting. And I would read to him a lot! We would spend more time taking trips to the library, nature centers, zoos, farms, parks, cider mills, museums…. I would tell myself that it is not a race, that I have nothing to prove to anyone but God, and I would lay the burden of performance at the Master’s feet. I would allow my son to lead more during this time. One thing I’ve learned is that I didn’t need to push my child at four to learn to read. I did this mainly out of fear of what the rest of my family was thinking as they looked on with disapproval. I know now that there is a time for more formal lessons later, but I would have cherished those early years more had I known what I know now. I would have spent more time cuddling and talking with my child and less time forcing a reading or math lesson that didn’t matter in the grand scheme of things. I would remind myself how exciting it is to be taking those first steps of faith into a journey of homeschool! Thank you for your transparency! I have tears in my eyes while reading this. I am a public school teacher and have a few friends who recently dove into the homeschooling adventure. My fears are summarized in your article above. We need to focus on being our children’s parents, not their teachers. There are people who get paid to do that job. Mom and Dad should be supportive, protective, and most of all, loving…not teaching math and science at the kitchen table. I think it’s important to have a separation between these two parts of a kid’s life. I’m not sure if you are wishing you wouldn’t have homeschooled at all, or just wished you would have done more fun stuff along the way. Either way, I really appreciate that you are trying to help others learn from your mistake(s) however big or small they may have been. First let me say thank you for taking up the call to be a public school teacher! I know what a job that must be and also know that your heart must be for our children to decide to offer yourself in this way! I love public school teachers! I respectfully disagree with you on homeschooling however. I believe that we are quite able to teach our own children and that it is in fact very natural for parents to be our children’s educators. We have had the most amazing science and math lessons at our kitchen table! And I would never regret any of that! I don’t understand why you feel it’s important to separate these two areas of a child’s life? At any rate, my daughter is set to graduate this year and has already taken several college classes. She is extremely social and has not suffered any adverse effects from having me as her main teacher. I was simply offering some insight to those who might feel that they need to start formal lessons with their younger children. I wish I hadn’t pt so much emphasis on teaching lessons in the early elementary years and had instead allowed my son to learn at his own pace which is one of the things I love best about homeschooling! Seems like “unschooling” works really well with younger kids. They aren’t quite ready to sit down and focus on lessons. But, impromptu lessons that are started with a simple question about the world around them work really well. It connects learning with the real world around them and ignites the fire to learn more. It can be hard to decided to homeschool when you don’t know anyone else doing it! But it is an area that is growing in leaps and bounds. Thankfully, I see the negativity associated with homeschooling fading a bit. Slowly, but it’s happening. Yes, thankfully homeschooling is not so taboo anymore. I agree that the very best lessons always are the impromptu ones where you are able to ignite your child’s love of learning! Excellent post! I have homeschooled for 9 years and remember how stressed I was in the beginning. We tend to forget the journey in the flurry of pressure to succeed. We also tend to forget the luxury of homeschooling and what true learning is when we stress about what “schools” are doing and what “standards” to measure by. Thanks Richele! I just want to tell everyone that we dn’t need to stress if we have been called to do this! As a mother of two toddler that plans to homeschool, I appreciate you sharing your perspective. We’ve been playing “counting games” and such, but nothing formal yet, and I know that time will tell me when they are ready for the formal lessons. Thanks! I agree so much with what you have written here! I had the urge when my second child was little to “get him started on book learning”. I felt so guilty that I didn’t. lol!!! He though, had a lot of medical problems at age 3 and 4, so just getting through the day was hard enough. I had to focus more on my oldest child since he was in upper elementary at the time and it just didn’t leave time for preschool. By the time we got through that stage, I was starting to have a lot of Charlotte Mason leanings, so I remained relaxed through ages 5 and 6. I have more structure at age 8, but I try to do as much fun-learning as possible. I hate forcing him to do dry, busy work. He does a lot more hands on stuff. Thanks for sharing your experiences Lynn! I also happen to know that you do a lot of lapbook work in your homeschool which is one of the things we did and loved! Thank you so much for this post! I started HS this year with my oldest boy (1st grade) and my 4-year old. The 4-year works well but then wants to get up and go do something else. At first it worried me but then I eased up. This confirms my decision to go easy on him, I needed that. Thanks! I love your stance. Young kids learn through doing and play. Thank you, Kristie, for your post. We are a home educating family and feel it is also our duty, responsibility, calling – to educate, love and guide our children through the eyes of the Lord. I am so blessed to be able to be the primary person to do this in our home. As long as I have the Almighty Father next to me, our children will succeed in every way! Keep on, keeping on! Thank you so much for this post as I have just begun homeschooling my 4 year old. I have received a lot of opposition from family and friends but I truly feel that God has called me to teach my own children. I have been struggling with keeping schooling at a minimum and letting there be more active play and learning like you were describing versus feeling the pressure to make sure he knows his letters, numbers and how to write them so others don’t think I am slacking. Thanks for helping me remember that the most important thing is that my child knows his Creator and that I know my own child’s learning curve. I’m so glad I could encourage you to follow your own path and not be motivated by fear or what others will say. How intuitive you are! Every homeschool parent should read this post. Life REALLY is a journey–not a race–enjoy your children–young and older–remember, the greatest lesson anyone can learn is to love, to forgive, as Jesus forgives us, and to live our lives so that we can be together with Him for eternity. that’s a good post. I agree. My daughter is 4 years old and we “homeschool” but we don’t do anything that’s really regimented. I try to work the lessons into play time. like practicing drawing letters is a perfect lesson to slip in when she is in a drawing and coloring mood but anytime I’ve tried to sit her down and “force” a lesson on her it’s always ended badly and then I wondered why I was trying to get a 4 year old to do worksheets. She doesn’t enjoy them, I don’t particularly enjoy them, she doesn’t seem to be learning much from them BECAUSE she doesnt’ enjoy them so what the heck was the point? A bunch of wasted time, effort and patience for both of us. So well said. I learned the hardway myself. Trying to push as they do in public schools sets up for failure. No wonder kids are so outraged these days. I had to restart reading all over with my son 3 times because he hates it due to following curriculums. I found new strategy that finally works. Great article! My son is 9 and always homeschooled. We have never forced things or made him do worksheets. Our life and relationship is so much better and he is smart, can read, and write. With out force he is at or above grade level in all subjects. AMEN! I have experienced similar and have come to same conclusion. LOL- my experience is the opposite- I TRIED to do hands on, project kind of stuff, but my second daughter INSISTED on at least one worksheet per day- no ifs ands or buts! It was mind boggling to me! Personally I have 2 teenagers and a toddler, and I homeschool all of them. This is led by God to do this. Its saddens my heart that this mom in this article wish she hadnt homeschooled her 4 year old. No its no easy task. When youre faced with failing public school systems in denial you have to do what you have to do as a parent. I wished I had homeschooled my teenagers from the early years. I wish I had encouraging homeschooling parents around 10 or so years ago around to help me through this, which brings me to encourage so many other parents who consider homeschooling. No this is not for every student or parent. Let me put this question out there to parents who are considering homeschooling, Do you really want to trust overwhemled, underpaid, frustrated, pressured to meet county/state standards, most who really dont care staff/teachers to teach your child or children? Granted there are a handful of teachers who really care and teach from thier hearts out there in the public schools but here isnt near enough of them to outweigh those who dont. 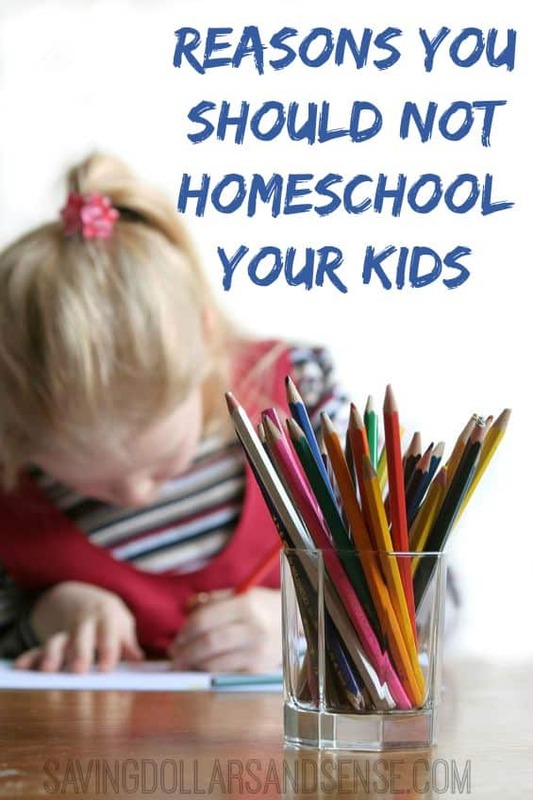 Personally I love homeschooling my kids and love how close we are now and the world isnt tugging at my kids to do the wrong thing on a regular basis!! I know not every will agree with me and thats ok! Mary Hembree Key I agree with a lot of what you said. I personally wrote this article. I am not sad that I homeschooled my son or daughter (who we graduated last year). What I was trying to say is that I had wished we would have waited a bit before we added in the “formal” lessons so to speak with my then 4 year old. As a new homeschool mom at the time I was more concerned with proving that we could homeschool successfully instead of allowing it to happen naturally. I also feel that we are not all called to homeschool and I am thankful that there are wonderfully underpaid & underappreciated teachers who are there for those who are not called to homeschool. We don’t homeschool our children, but I completely agree with the article. That is pretty much the same approach we took to potty training our children. We felt that children have so many things they learn in the early years (walking, talking, socializing, etc) that learning to use the potty was way down on the totem pole. We decided to let our children do it all by themselves and so far it’s worked great. Completely stress free for both the parents & the kids. We used to have family members asking, “When are they going to use the potty like a big kid.” My husband would always tell the person that what our child did or didn’t do in the bathroom is none of their business LOL We as parents have to stop trying to compete with each other and just let our children be children. I only partially agree. I loved structure when I was homeschooled. It gave me a sense of accomplishment to see my stack of work completed every day! Please don’t generalize public school teachers because you chose to homeschool. That is offensive. As a teacher I have seen many kids mainstreamed back into school who just don’t feel comfortable in a classroom. I think homeschooled kids miss out on so much even if parents have the best intentions. Julie, maybe you should actually READ the article. No where did she even mention public school teachers. Homeschool kids aren’t missing out on anything, and actually if you did any sort of research or had any knowledge on homeschool kids, they have more social skills than public schooled children. You ask how, simple, they actually spend time with a variety of ages vs the same age kids for 13 straight years, which is not realistic in the real world at all, it’s not even realistic in college, where you have a variety of ages being 1st year college students, etc. I find your comment offensive if for nothing else, you jump to a conclusion that was never even in her article. Get a grip woman. Ok so please accept my apology for thinking you were replying to the original author about the public school teach comment, although even after reading the original commenter, she was very clear that it wasn’t all p.s. teachers, just the ones she had dealt with. For the rest of it though, you’re far, far off base. I’m trying to get more information about homeschooling, as I was a public school girl when I was growing up. Christy, you say that a homeschooled child interacts with a variety of ages. Where is the interaction? Are you talking about when field trips are taken? I don’t think spending time with children your own age is a negative. I think anytime you can interact with others you will learn social skills. True, in the real world, you aren’t going to encounter everyone the same age, but I know personally, when I graduated high school, I never expected to spend the rest of my life interacting with people the same age as me. I have been working since I was 16 and the people at my job at that age were all older than me. If anything, I think I learned a lot of life experiences from them. Sometimes, it seems that homeschooling almost shelters your child from the real world. Not everyone is going to be as nice or as nurturing as mom and dad. I know its a tough lesson to learn, but I think its something they need to learn. It’s a tough world out there. Also, not everyone has the luxury of homeschooling or being homeschooled. My mom was a single mom with 3 daughters. She had to work to support us. I enjoyed going to school every day and interacting with people different from me. I home schooled my daughter for two years (she is now 21) and my son attended public school ever since preschool. I was very fortunate that my kids’ schooling experience has been more positive than negative, and I have met some amazing teachers along the way!! I volunteered in each one of their schools and that was a wonderful way for me to get to know their teachers and other building personnel and to get a feel for the day-to-day activities of my children. My 3 kids went to public school, but I DID educate them. I was the tutor when my son needed extra reading help. I was the coach of my daughters DI team. I was the girl scout leader. I think a parent can do fun activities and include learning experiences everyday! @Mary…like Julie, I also take offense at your comments about teachers. It is unfair to say ‘most don’t care’ and ‘the ones that care don’t outweigh the ones that don’t.’ I’m glad that God led you to homeschooling…but that same awesome God led many of us to obtaining our education degrees as well. Furthermore…the writer of the article didn’t seem to regret homeschooling; rather reflected on using more ‘life lessons’ at a younger age as opposed to more traditional methods. As a Kindergarten teacher, I couldn’t agree more-I tell parents all the time to make learning fun at home and do it through everyday moments and conversation. I didn’t want to veer so far off the point of the original post (and article) but felt I needed to address the post on behalf of fellow teachers everywhere!!! Thanks for that Amy!!! I was getting very, very upset until I read your post! I couldn’t have said it better myself!!! I agree wholeheartedly with your article maybe the title is what is throwing everyone off, becasue what you are saying is “schooling” the child as if he was attending a “school” but what you actually did is schooled him at home in a natural way using what surrounds him…its how it should be. I homeschool my 3 kids, my youngest is 3 and before 5 I always used my surroundings and make every moment a teaching moment but I say I “homeschool” because my children do not attend a “school”. Wow such interesting opinions. Great article. I think it reminds us that we are foremost their parents and that is the perk. WE get to watch them learn, and we get to teach them and we get to be a part of their discovery of the world, by their side, pointing out the beautiful parts along the way. We get to watch their eyes get wide in amazement. We get the endless day of why’s and what if’s mommy. THAT is beautiful in homeschooling. I homeschool but I also sit in the midst of a family of public school teachers and employees. I admire public school teachers. THEY are not the reason the system is falling apart. Adults bickering over rules, adults being unethical, adults, adults adults not getting along are the reason the system falls apart. Parents are very much a part of that failing system. Parents who don’t read to their kids, who don’t have a clue what their homework is, who don’t take part in the P(arent), T(eacher) A(ssociation) or in just being informed in general of what their kids are doing. It is NOT the teachers at fault. I for one am grateful that I homeschool my 5 yr old. We are still working out routines, schedules and styles of learning. Do I compare myself and her to others—absolutely, it is unavoidable. Do I worry I am not giving her the best possbile? YES! Any good parent probably has that thought cross their minds at least 10 times a day. I personally take a tiny offense to the commenter who states that homeschoolers miss out on so much more than public school kids. I don’t believe that. While PS kids are sitting in a row of desks in silence listening to a lecture, my daughter is at her bean bag chair reading books of her choice or outside on the deck observing nature first hand. While PS kids are lining up for lunch, recess, bathroom breaks, etc…my daughter is on a field trip at the zoo, or at the library, or at a museum. While PS kids are spending so much time sitting and lining up and organizing as a group, my daughter is exploring, learning and discovering what interests her and how the world works. So I don’t think a generalization can be made that homeschoolers miss out on things that PS kids don’t. Yes, maybe a school party, or a special craft…but goodness, thanks to pinterest and a good homeschooling co-op, a homeschooling mama will never miss out on any adorable craft or social function again! In response to some of the comments, I agree that there are some great teachers out there!! NO Doubt! I also agree that its great that there is a public school system. I am sorry that I was a bit misunderstood, as I clearly misunderstood the article. For that I am personally sorry Saving Dollars and Sense for misunderstanding your article. Clearly I think that some were offended my earlier comments I’m sorry that I offended you. I personally love homeschooling, our family have had some awful public school expericences along with some awesome ones with awesome teachers whom I am still friends with to this day. Each family needs to make their decisions based on what they need or want for their families. Thank God we live in a country where we can freely make them. Thanks for this! It’s a great reminder when we are caught up with checking things off the homeschool list! My biggest obstacle is the pressure of fulfilling our state requirements; I try not to let that stress me because I know in the end, the only one I have to answer to is God, and He will fill in an gaps that I missed!! I’m definitely going to pass this post along! Thank you for sharing that, I think lots of parents need to be reminded (myself included) to lay it all down for God and to learn to cherish our children more. I homeschooled my oldest child from the 6th grade because of a system that treated my autistic child as a behavior problem, complete with locking him in a cement 4×4 room when he acted out.That said ,I have had a great experience with my youngest(also autistic)in the same public school because I am now very educated in his rights as to what the system is allowed to do and what they must do.The majority of the teachers are great but in a way I am glad I was forced into homeschooling because I wouldn’t take anything for the years I have spent with my oldest child. My youngest is still in a public school classroom,segregated away from the mainstream school children because of multiple issues but he makes Honor roll every 9 weeks and I think his teacher is awesome. I could not teach just two autistic kids and he has 8 kids with special needs in his room.Teachers like him deserve a gold medal for what they do.If God leads you to homeschool then that is what you should do and if not, then that is a personal choice and each one should never put down the other for their choice. I haven’t read all the replies but will just add my own experience. I homeschooled all 3 of my children from K-8th grade. Why? I was bored to death in public school and very easily influenced by my peers unsocial behaviors…I wanted more for my kids. I am not blaming public school teachers, I had many great teachers that I still see to this day…but really with 30 kids who do not all learn the same way you will have some that fall behind and some that are bored from being held back…you see you have to keep everyone on the same page. My children were socially advanced. They felt as comfortable with adults as they did with their own age, they were good with younger children too. They learned from life around them, going to the store was math, reading, planning, packaging, and more. Going to the park was science and nature. Going to a museum was history and art. When my children did enter public school in the 9th grade they excelled. My oldest was in a program that allowed accelerated studies. She finished all of her credits for graduation in 18 months! She was not only the youngest graduate in the history of the school but also Valedictorian! Her sister followed behind her 2 years later and was also an honor student. Her teacher said that she was one of the most well adjusted young ladies she had ever met and impressed with her education that she had received at home. Now my son, following 9 years later is a straight A student. He glides through pre-calculus, science, engineering, and more with out having to bring homework home. I agree not everyone is cut out to homeschool and not every child is is cut out to be homeschooled. I do believe if you are going to do it, start in K and work from there, it is easier for you and your child. I kept it somewhat structured but allowed for my childrens best learning schedule to dictate how and when we schooled during the day. I had 2 children that did better in the afternoon after playing all morning and my other one was the morning learner and wanted to get it done and have her day to herself. 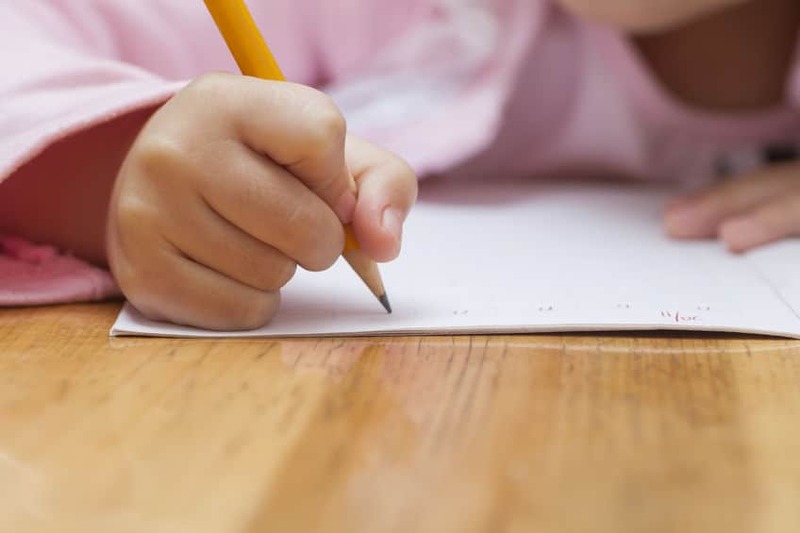 Homeschool allows for individual teaching methods geared to your childs learning style…it allows them to move along at their own pace of learning (within reason), and to be a bit more creative. I always encouraged thinking outside of the box. Our school district had a wonderful program for homeschool that gave us resources that we needed as well a credentialed teacher to guide us. After teaching all grades, K-8th, three times I really feel that I should qualify for an honorable teaching degree but instead I drive a school bus and doing so reminds me daily that I made the right decision for my children. Homeschooling was definitely never a question for me, my in-laws did not approve but looking at my children compared to the others in the family they now see that my children are far more productive and better suited to take on the world then their cousins…one of which had a baby at 16, is covered in tatoos and piercings, several have had drug and alcohol problems, several have had failed marriages, and the list goes on…point being, I think my children were better prepared for the world by not going to public school until they had grown up more at home. OK – so first off, let me tell you how much I love your blog. 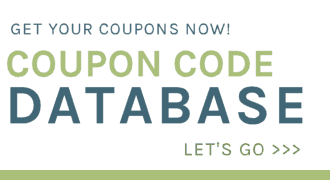 I don’t comment much, but get it delivered to my inbox, and faithfully comb through all the deals…. and take advantage of as many as I can! Second – let me tell you that I am on the other side of homeschooling – 22 years of homeschooling 4 children, K-12. And I wish I, too, could go back and talk to that younger, more energetic, Me. Workbooks and lesson plans have their place… but, we only get them for such a short time…. those early years go by soooooo fast!! Do you think the young mothers will listen to us? I don’t know if I would have listened…. Thank you again for your wonderful blog…. What you are referring to is called unschooling. Agreed. My 1st grader does about 1 – 1 1/2 hours a day 3-4x a week. It’s plenty!